Barb Slone | Greene County News The wreath at the Fairfield Commons Mall is officially lit and ready for the Christmas season. The mall recently hosted an event that included the wreath lighting, reindeer, Santa visit, children activities and more. 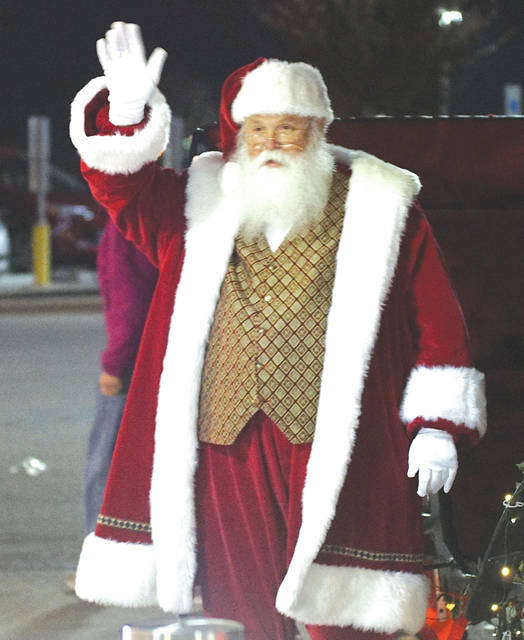 BEAVERCREEK — The Mall at Fairfield Commons will host photos with Santa from now through Monday, Dec. 24. Photos will be taken at the The Dayton Children’s Santa’s Village is located in Center Court. Visit with Santa 11 a.m. to 8 p.m. Monday through Saturday, 12-6 p.m. Sunday now through Dec. 9, 10 a.m. to 9 p.m. Monday through Sunday Dec. 10-16; 9 a.m. to 9 p.m. Monday through Sunday Dec. 17-23; 9 a.m. to 6 p.m. Monday, Dec. 24. Reserve a date and time to visit with Santa through the FastPass reservation system. FastPass is a convenient time saving service that enables customers to pre-order their photo package and merchandise online in advance of their Santa visit. Please click on the link below to reserve your appointment and follow the instructions www.santasfastpass.com/mview/6001/the-mall-at-fairfield-commons. The Fairfield Commons is located at 2727 Fairfield Commons. Call 937-427-4300 for more information. https://www.beavercreeknewscurrent.com/wp-content/uploads/sites/49/2018/11/web1_fairfieldtree2.jpgBarb Slone | Greene County News The wreath at the Fairfield Commons Mall is officially lit and ready for the Christmas season. The mall recently hosted an event that included the wreath lighting, reindeer, Santa visit, children activities and more. https://www.beavercreeknewscurrent.com/wp-content/uploads/sites/49/2018/11/web1_fairfieldtree4.jpgBarb Slone | Greene County News The wreath at the Fairfield Commons Mall is officially lit and ready for the Christmas season. 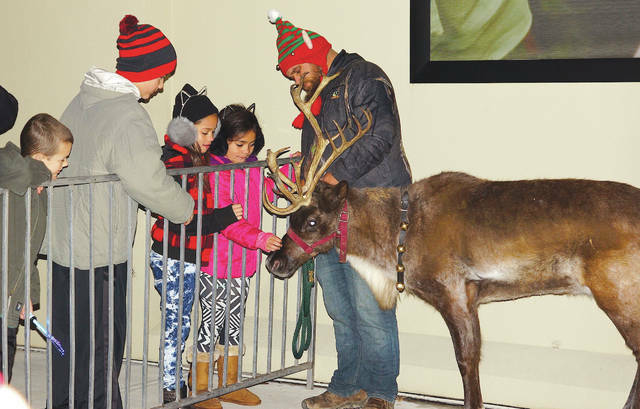 The mall recently hosted an event that included the wreath lighting, reindeer, Santa visit, children activities and more.